Long & fitted was the theme at the Grammys 2013. Fav Hair & Makeup: Rihanna takes my vote on both hair and makeup. Her locks were long & voluminous and her red lip was awards show perfect. She looked like the mega star she is on the Oscars of the music industry. Adele’s signature updo was classic, chic & represented her personal style, which I adore. 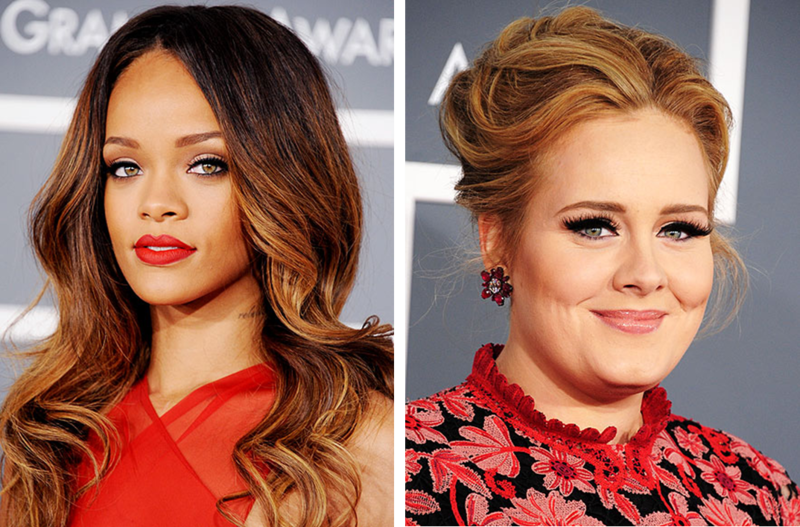 Dahlings, what were your fav looks & moments from the Grammys 2013?